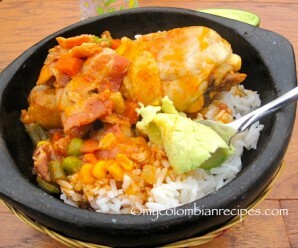 I made this chicken for lunch about three weeks ago and it was very tasty and easy to make. 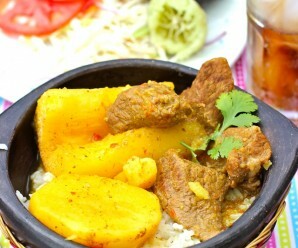 Serve it with mashed potatoes, noodles or white plain rice to soak up the delicious sauce. 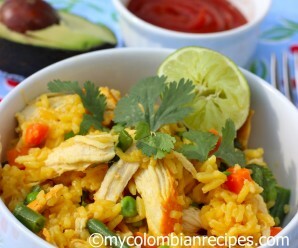 I used boneless chicken breast for this recipe, but you can use your favorite chicken parts. Thank you all, for your congratulations and good wishes in my last post. Trim any excess fat from the chicken. Rinse and pat dry with paper towels. Place a chicken breast half between 2 sheets of waxed paper or plastic wrap. Flatten to an even thickness of about 1⁄2 inch. In a large sauce pan over medium-high heat, melt the butter with the olive oil. When hot, add the chicken, season with salt and pepper and sauté gently, turning once, until the chicken is golden, about 3 minutes per side. Transfer the chicken to a warmed plate. Add the shallot to the sauce pan and sauté, stirring until translucent, 1 to 2 minutes. Add the garlic, cook for 1 minute more. Add the wine and cook for 2 minutes. Add the heavy cream and chicken stock, increase the heat to medium and stir with a wooden spoon, scraping up any browned bits from the pan bottom and blending well. Cook for about 2 to 3 minutes. Add the parsley, cilantro and capers. Season with salt and pepper. Return the chicken to the pan and cook for 5 minutes more, turning each breast several times in the sauce until well coated and hot. Transfer the chicken to a serving plate or individual plates and spoon the remaining sauce over the chicken. Serve immediately. I have made a similar version but I have never tried using capers. Gotta try your recipe. 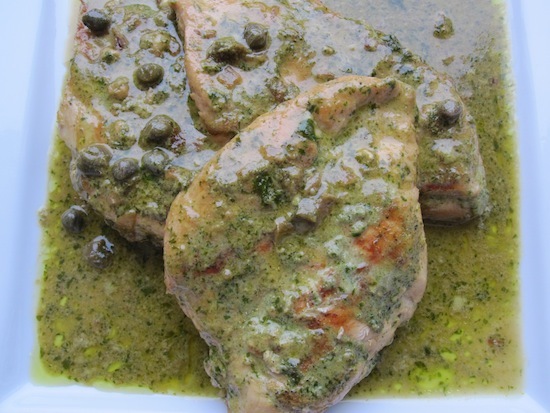 The sauce with the herbs and capers sounds so flavorful, great to pair with the chicken! This sounds like a really good sauce. I love capers & cilantro! I like this saue. I remember i tried it on shrimp a while back. Very tasty. 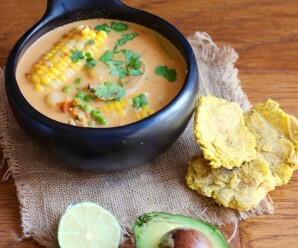 This reminds me of a wonderful cilantro soup that I tasted one time in a Mexican restaurant; I have wanted to recreate this ever since. Thanks for a great recipe! Erica, I would like to make this recipe but I don’t like white meat… can I use boneless thighs instead? I made this yesterday without the capers and without the cream and it was delicious. Thank you! Hola Erica, Soy fan de tu website desde hace mas de 1 año, semanalmente cocino algo tuyo, hoy hice esta y me encato. Muchas gracias por compartir tu don con todos nosotros. Soy colombiana y vivo en Hollywood FL. Is the heavy cream same as “heavy whipping cream” I don’t seem to find just a heavy cream. My sauce came out very white but great taste. Does not look like your sauce which looks transparent. I am not sure what I did wrong.